My brother Jerry and I are co-founders of MyStarCollectorCar, plus we are also identical twins so confusion reigns supreme in our clone world. Years of mistaken identity have built up our immunity to an endless barrage of moronic questions like “which one of you guys is which?”; along with irritating statements by a large herd of simpletons who conclude (without any hint of shame) they can “never tell us apart”. 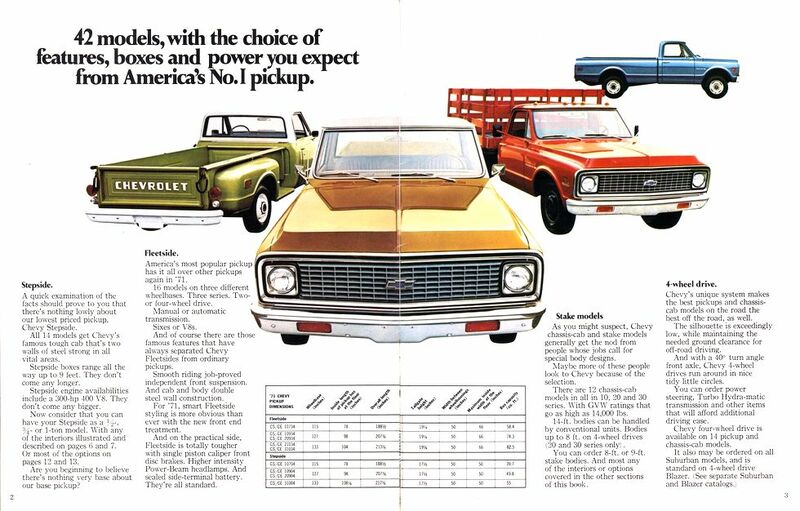 The same level of confusion can be found when car guys try to identify various models from the past, including the 1971 and ’72 Chevy trucks. 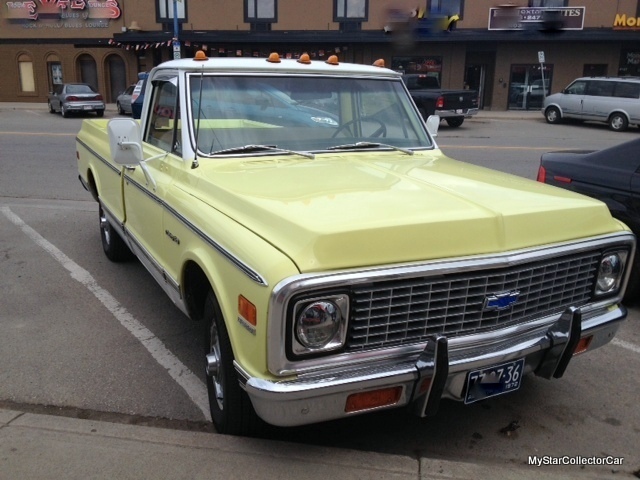 Fortunately, the Chevy pickups are inanimate objects and will never be irritated by the head-scratching that occurs whenever a 1971 Chevy is mistaken for a 1972 Chevy. The owners are likely a different story since most of them are human and may react badly when their trucks are confused with a model from a different year. 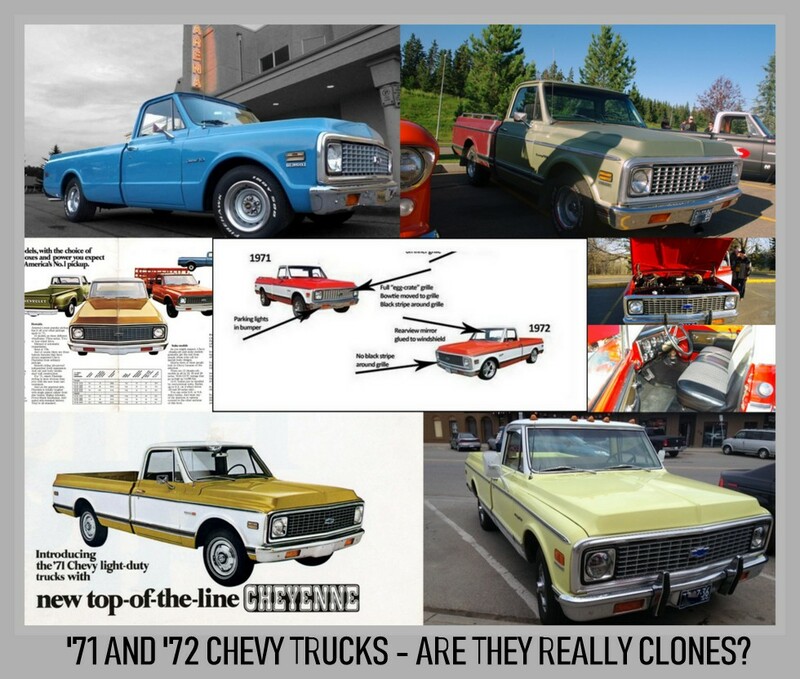 Oddly enough, most of our empathy here at MyStarCollectorCar lies with the ignorant bystanders because Jerry and I also had to do some research to learn about the subtle differences between the 1971 and ’72 Chevy truck clones. 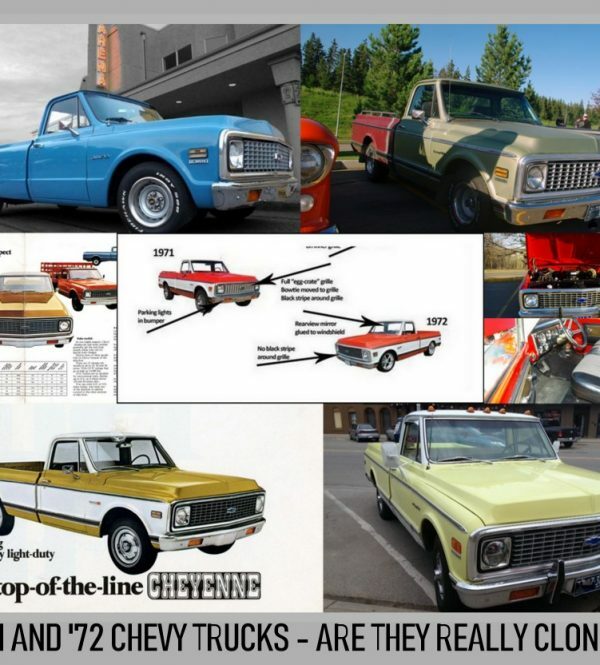 The 1967-72 Chevy truck models belong to a very popular group in the collector vehicle hobby because they represent a complete style departure from previous Chevy trucks and they were rock stars then and now. However, most car guys can easily identify the differences between a 1970 Chevy ½ ton and a 1971 model. 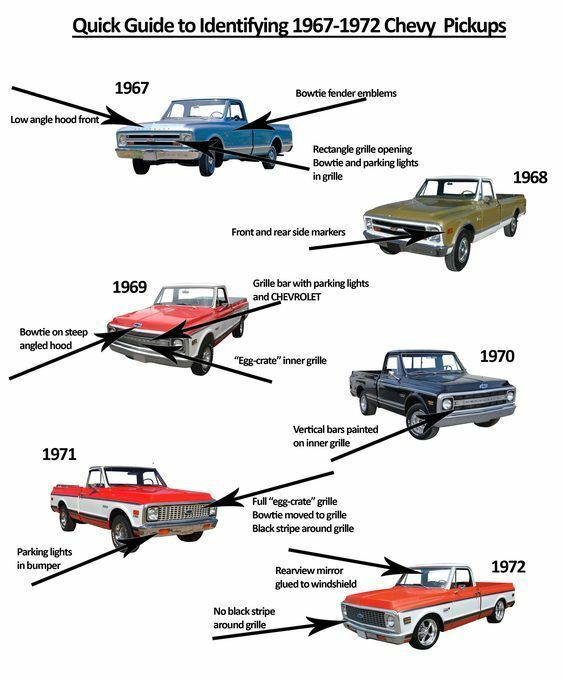 As mentioned, the real problems occur when car guys build a list of differences between the 1971 and ’72 Chevy trucks. Our research indicates that it is a very short list. 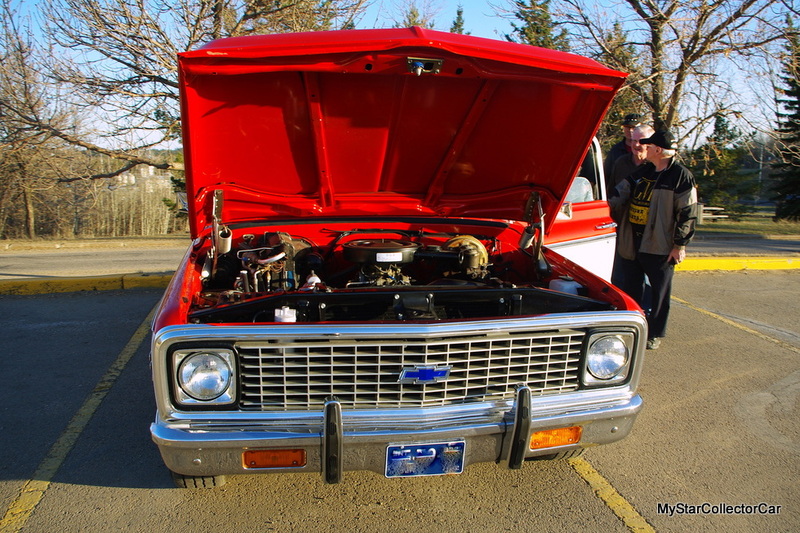 For example, the grille on the front end of the two model years is different in a subtle way because the new-for-1971 Chevy truck grille has a black border around it and was only used for that year on the pickup’s grille. 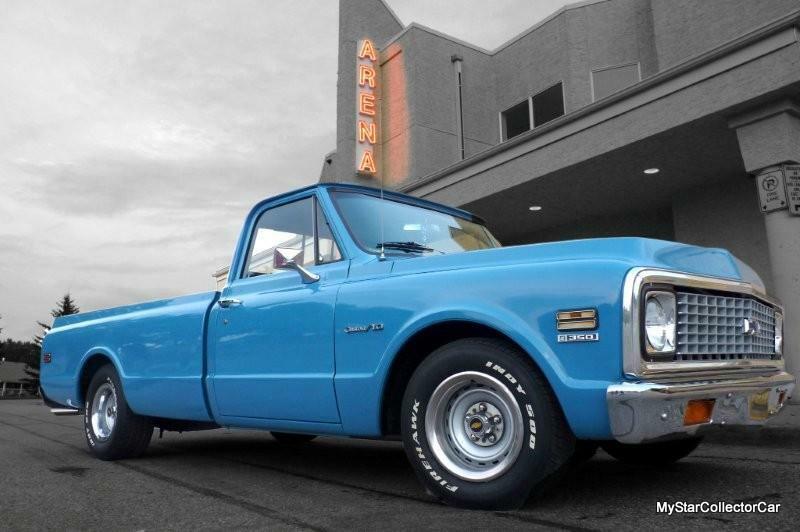 Thus a simple conclusion for car guys is a factory 1972 Chevy truck will not have a black border around its perimeter; and this vague change should be enough to distinguish the ’71 from the ’72 model. The Chevy truck models’ minor differences get even tougher for car guys once the front grille is taken out of the equation because the next clue can be found in the rear view mirror placement in the cab of the truck. A 1971 Chevy truck’s rear view mirror was attached to the area above the windshield, while a ’72 Chevy truck’s mirror was secured directly to the windshield from the factory. Still-confused car guys will need to peek into the cab to find another difference between a 1971 and ’72 Chevy truck because these pickups underwent a door panel change during that two year production period. 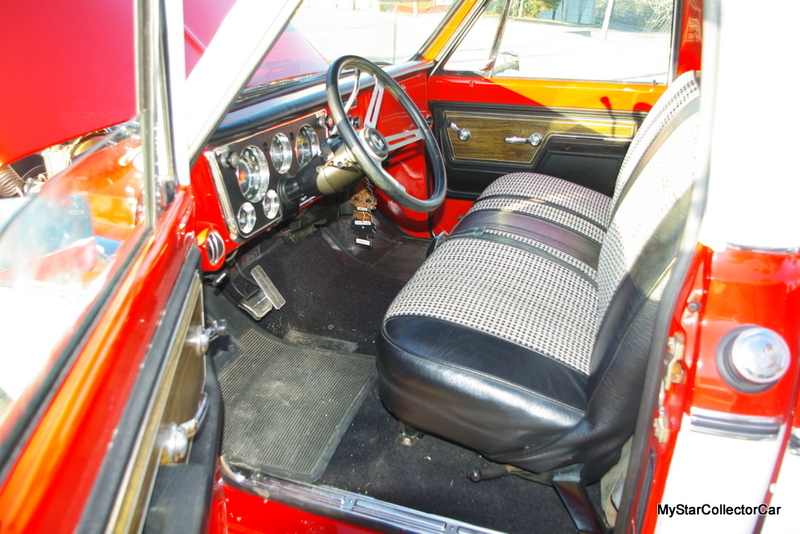 The 1971 Chevy trucks retained the metal or vinyl-covered door panels with arm rests attached by screws, while the ’72 models had arm rests molded right into the new plastic door panels in the trucks. 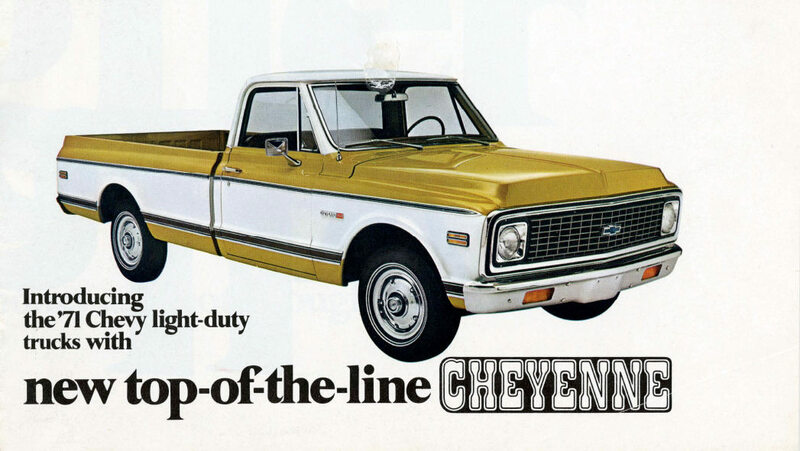 The high end ’72 Chevy trucks (such as the Cheyenne model) also had wood grain-style bling added to the door panels. 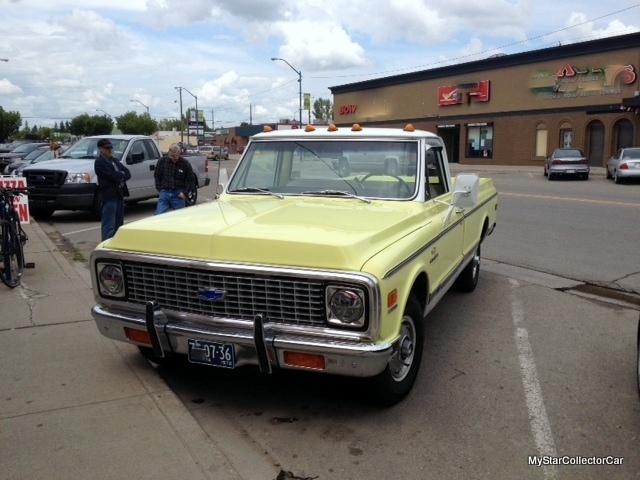 The aforementioned differences are the best ways to distinguish a 1971 Chevy truck from a 1972 truck. All bets may be off in 2019 if an owner added any of these subtle features to a 1971 or ‘72 truck that never had them when they left the factory. A lot can happen in almost 50 years.